How to describe this roaring howl of a novel? It's often called the German Ulysses - a fair comparison, but instead of rambling ruminatively through Dublin, we're careening in a screaming streetcar through 1928 Berlin. Pop music, hawkers' calls, swishy ads, and the thoughts of passers-by all stream through the windows. Our guide is Franz Biberkopf - Frankie BBK - an oafish pimp who leads us down the local levels of hell. 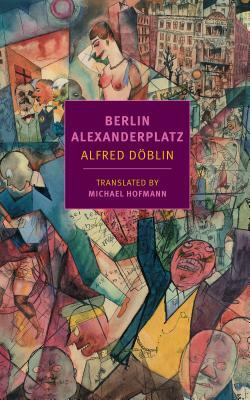 Döblin's tough-to-translate and extremely erudite verbal torrent (reborn in Hofmann's translation) is sometimes impenetrable but never boring. He makes us laugh and then sucker punches us. We're left dizzy and breathless and wondering why novels aren't written this way anymore.